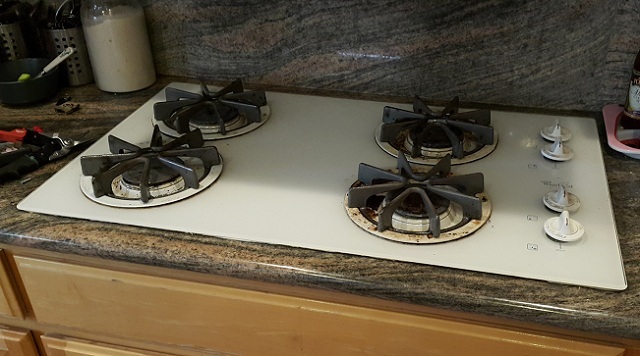 Last week we received a service call for the gas cooktop repair. 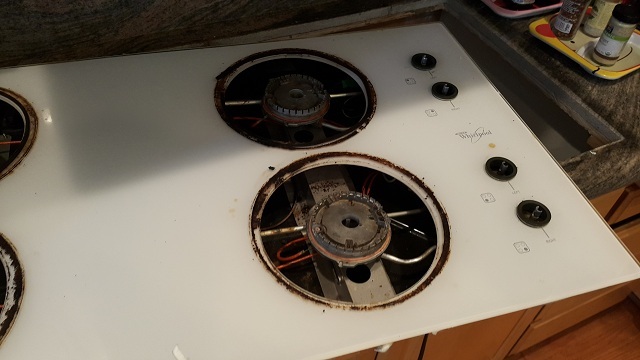 Our customer was concerned that two burners wouldn't light up, even though the gas was coming out. The other two burners were working fine. 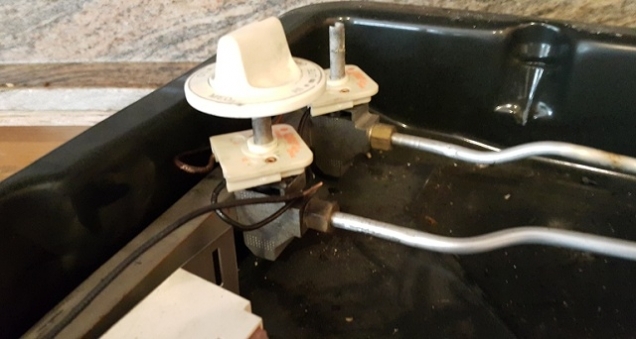 Another thing would happen if you turned on both, working and defective burner: both burners would light up. Our technisian diagnosed that two switches were defective and had to be replaced. We ordered the parts and in a couple of days our technician came back to finish the job. 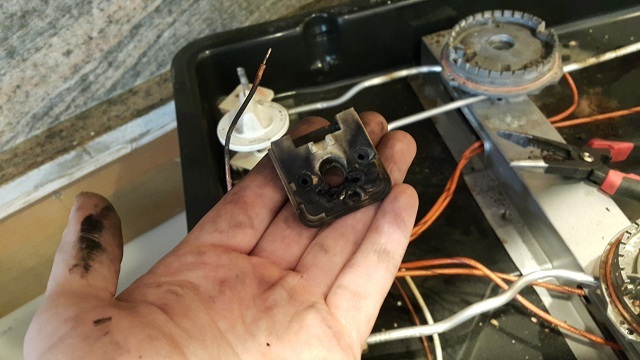 While desassembly it was found that one of the switches was burnt out. Most likely there was a short which destroyed the switch. We higly recommend to be carefull while cleaning your cooktop and make sure you don't flood it. 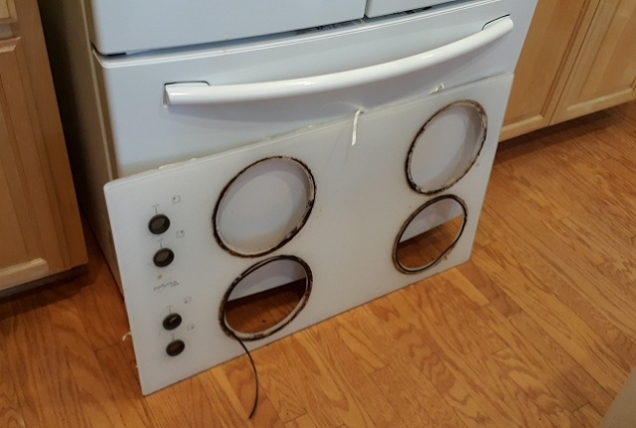 Once the switches have been replaced, the cooktop started working like a new one!